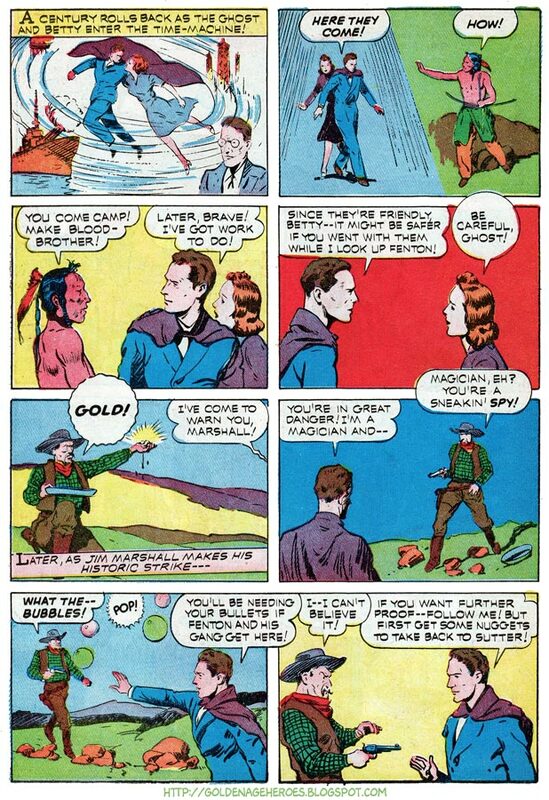 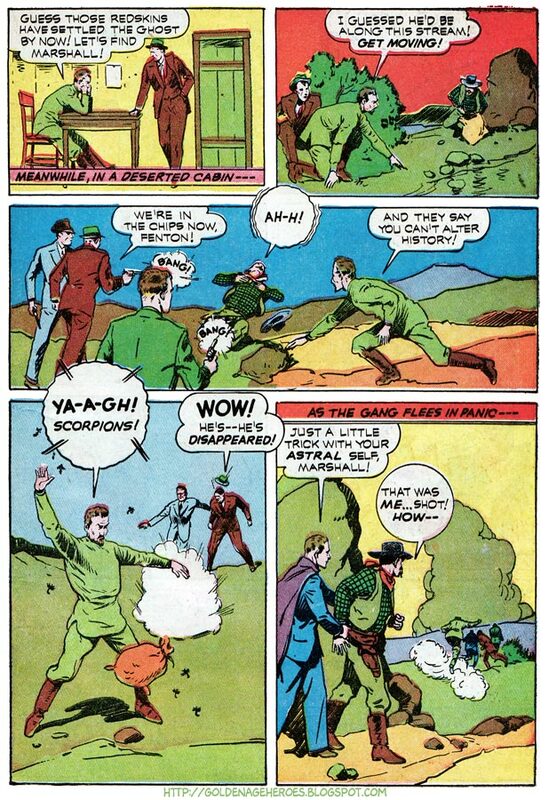 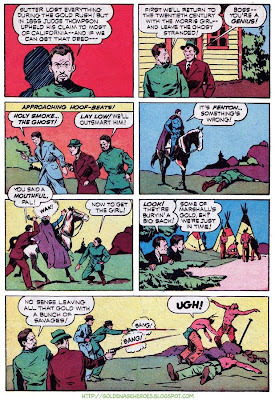 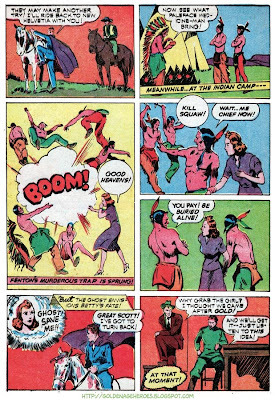 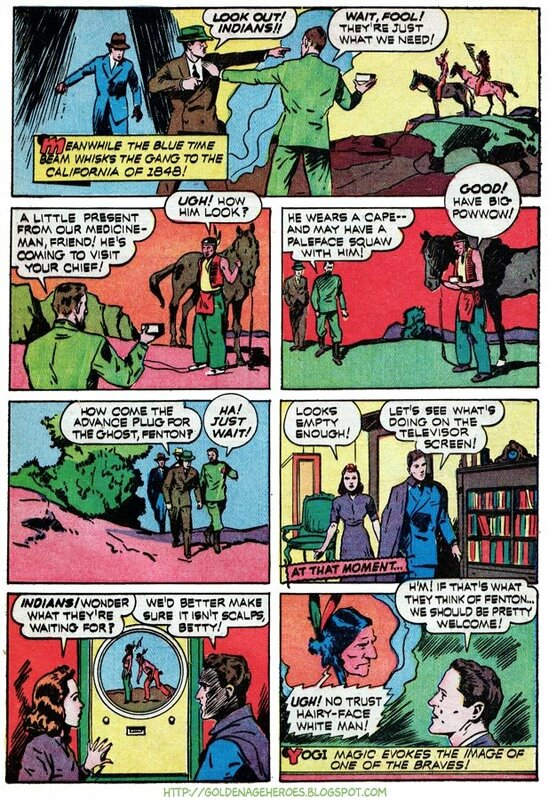 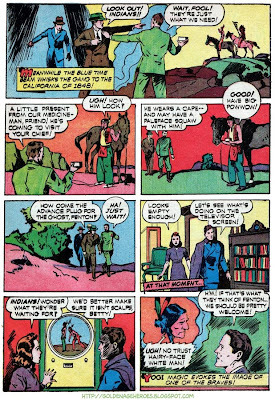 Golden Age Heroes: The GHOST grapples at the Gold Rush! 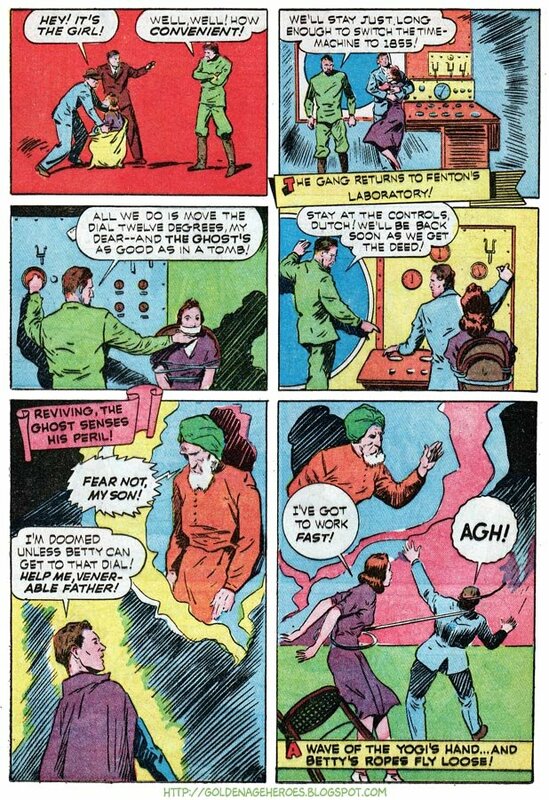 Trained by the Yogis of India as a master magician, George Chance masquerades as "The Ghost" in fighting crime! 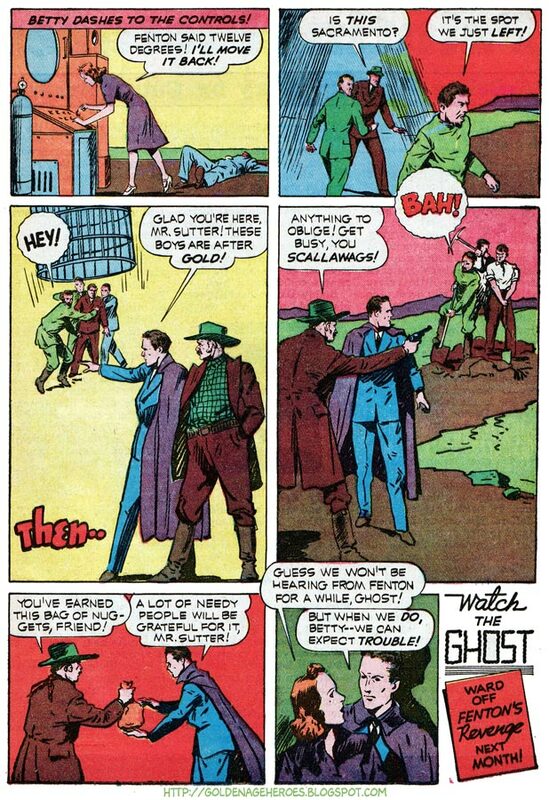 The Ghost debuted in THRILLING COMICS #3 (April 1940) and appeared in almost every issue through #52 (February 1946). 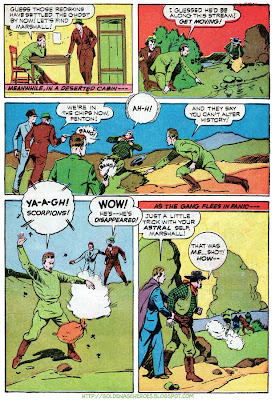 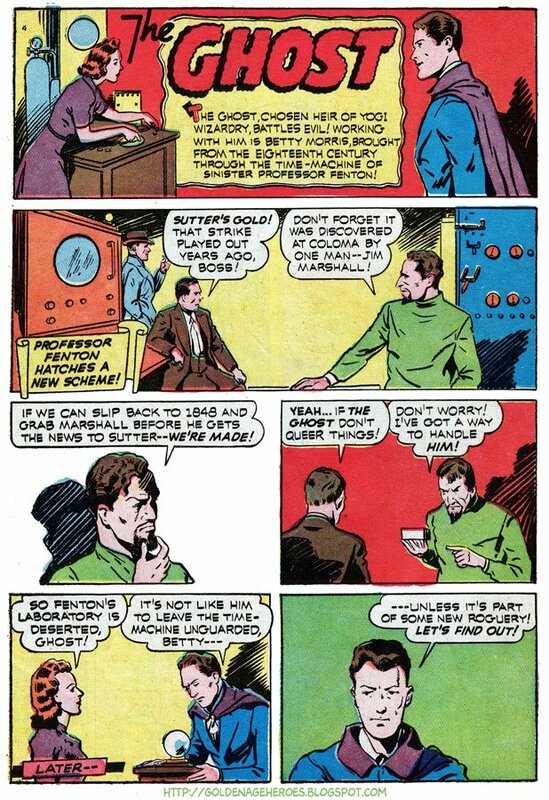 He also made appearances in AMERICA'S BEST COMICS #9 (April 1944) and BLACK TERROR #7 (August 1944). 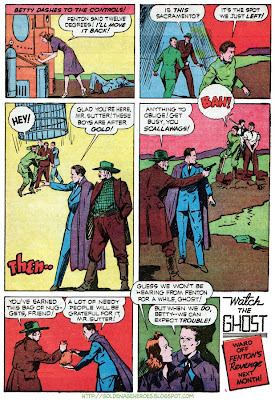 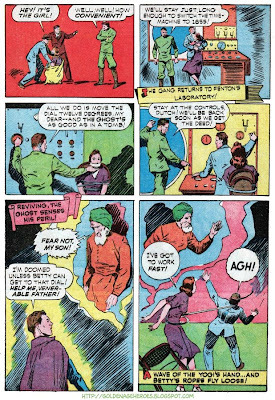 Most of The Ghost's early adventures involved time-travel, as he chased after his arch-nemesis, the evil Professor Fenton, inventor of the time machine. 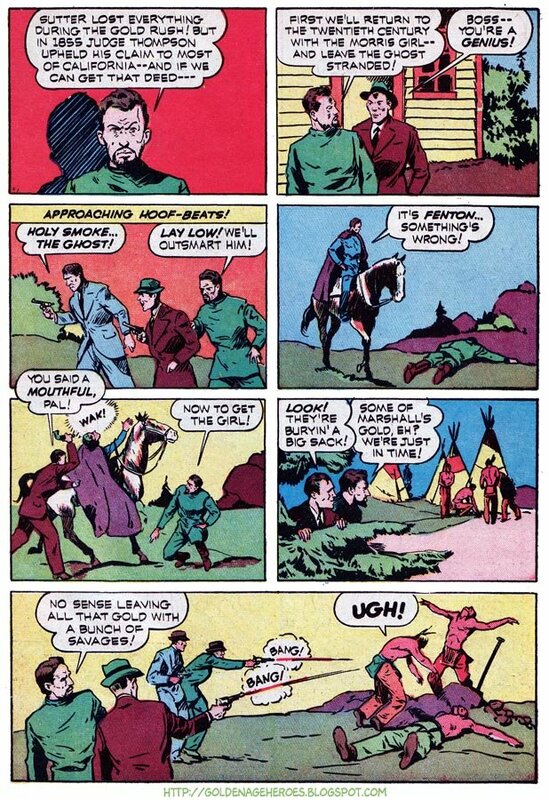 The Ghost's "Venerable Father," apparently some sort of mystic-Yogi-protector-type apparition, could almost be considered a deux ex machina, except for the fact that he filled that role in almost every adventure, making it the norm. 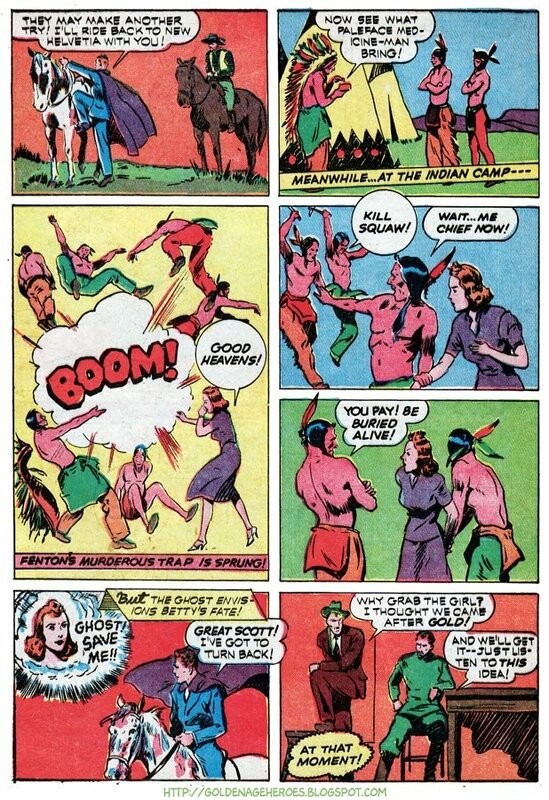 The Ghost's career probably wouldn't have lasted very long if he hadn't continually had his @$$ saved by outside intervention!